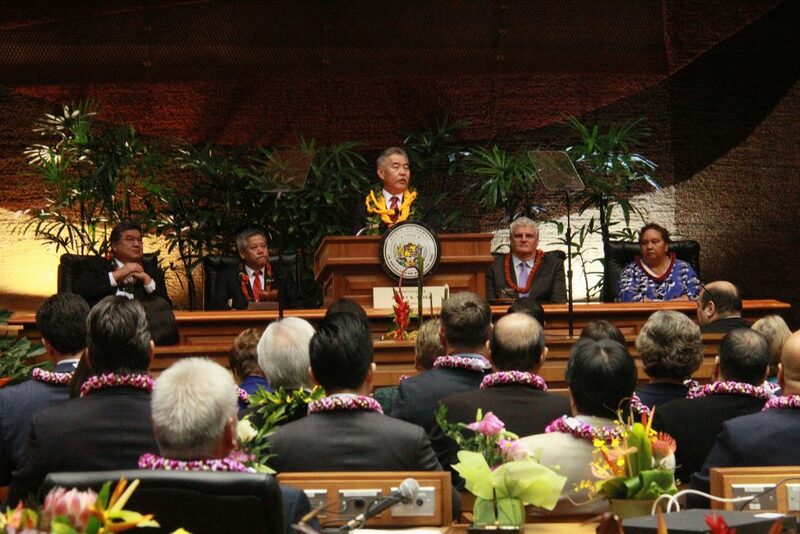 Governor David Ige delivered his fifth State of the State address today. The address focused on early childhood education, affordable housing and the transient accommodations tax. 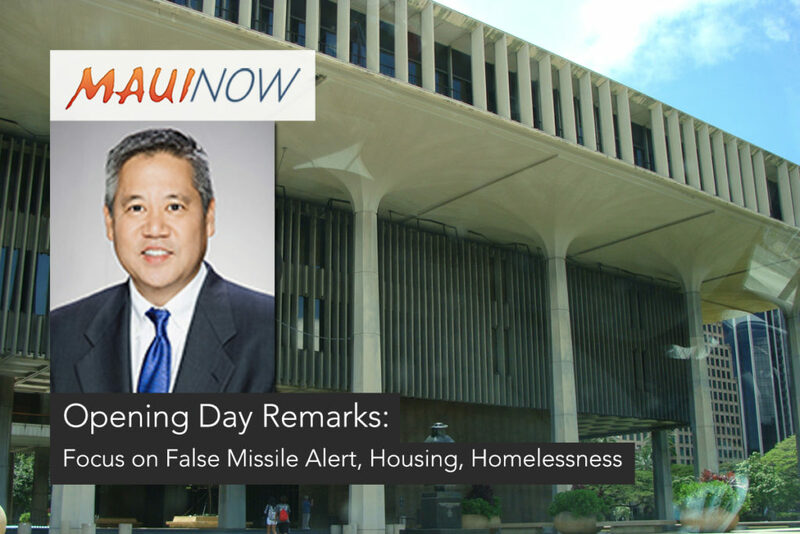 **VC: Video copy provided by ʻŌlelo Community Media/Office of Governor David Ige. Governor David Ige Delivers his 5th State of the State address on Tuesday, Jan. 22, 2019. PC: Office of Gov. David Ige. Mister Speaker, President Kouchi, former governors, distinguished justices of the courts, representatives of our congressional delegation, members of the Hawaiʻi State Legislature, elected officials, military leaders, honored guests, and all of you who took the time to be with us this morning. Like the start of each new year, the State of the State address offers us an opportunity to both look back at where we’ve been and forward to where we want to go. The decisions we make today touch all of our lives. They are informed by our past and will affect the lives of many far down the road. As I look around the room and see these former governors, I am reminded of the hard choices they made during their tenure and how much we benefit from those decisions today. Yet the view from this crossroad is often obscured by our busy schedules and the day-to-day concerns we face as parents, students, employees and community leaders. But it’s a view that we need to pay close attention to—and perhaps look at from other perspectives. About a minute past midnight on Jan. 1, 2019, Alekah Obra Garcia was born to Clarissa and Johnson Garcia of Kona—the first baby of the new year for the state of Hawaiʻi. In 2037, when she and her classmates graduate from high school, some of us will be long gone. Perhaps one of your grandchildren will be among the Class of 2037. How will they view the decisions we make today? How will they grade the schools and education we provided for them? How will they assess the job and career opportunities that will be available to them? What will they say about the condition in which we left our ocean, beaches and rain forests? How will they view their past and their children’s future? Will they look back with reverence the way we do at our parents’ generation, or will they look back with disappointment and regret? Too often, when we talk about the future we speak in macro-economic terms. But for me, the future is personal. In many ways, it has to be—if we want to make good and wise decisions. The future has a name and it is the name of a son or daughter; grandson or granddaughter. But whether you have children or not, I know many of you feel the same way about Hawaiʻi. The future is personal because it is about home. We choose one path over another, believing it will lead to a better, more secure, more nurturing Hawaiʻi. We make choices for Alekah’s sake; We make choices for our children’s sake. Fortunately, we do so at a time when our foundation is strong. Hawaiʻi is once again ranked the healthiest state in the nation. That’s due in part because our health care coverage is among the broadest and most enduring. Our unemployment rate is among the lowest in the country. Our visitor industry is moving toward another record setting year, and both individual personal income and the state’s gross domestic product have been steadily growing. For four years, we have worked hard to put the state on sound financial footing by building our reserves and by paying down our unfunded liabilities, including those to our employee pension and health benefit systems. We now have the highest bond rating in the state’s history, resulting in lower interest rates when we need to borrow money. The state of the State of Hawaiʻi is sound. More importantly, we are positioned to meet the challenges — both good and bad—because we have proposed a prudent budget that does not spend all that we project to bring in. And, as President Kouchi noted in his opening day remarks, we will continue with that prudent stance even as we take care of the current needs of our people. It is, as you might guess, a delicate balancing act. I am mindful that the world around us has changed since we began this journey four years ago. Indeed, it has dramatically changed since I delivered my second inaugural address just a few weeks ago. In my remarks, I talked about how we are no longer limited by our geographic isolation, freed by the wonders of technology. But that’s also a double-edged sword. The very thing that makes us more connected with the rest of the world, also makes us more vulnerable to its slings and arrows, including what happens in our nation’s capital. More than ever, we need to take control and shape our own destiny through education and innovation. And we need to protect those things which mean the most to us—our natural resources, our way of life, our values, and our children’s future. In 2015, we were the first state to set a 100% renewable energy standard, the most aggressive clean energy goal in the country. In 2016, we were the first in the nation to enroll firearms owners into a centralized information system. In 2017, we were the first state to enact legislation that aligns with portions of the Paris Accord. In 2018, we were the first state to ban pesticides containing chlorpyrifos to protect our children’s health, and the first in the world to ban certain sunscreens to protect our environment. In short circuiting the underlying cause of homelessness by building more affordable homes. As a state, we have always been “outward” looking in our values, goals and actions. We have always put others first. In today’s “me-centered” world, that is what I am most proud of as your governor. That is the gift that we pass on to little Alekah Garcia—that compassionate spirit that I believe resides in all of us: the spirit of aloha! Concern for our children and the future of our island community is one of the most important ways we show our compassion for others. In 2023, Alekah will be ready for preschool. But will a preschool be available and ready for her? Our public school system begins with kindergarten, but early education specialists tell us how important it is to prepare young children for a lifetime of learning. Research also tells us that early childhood education, such as preschool programs, are critical for brain development. It contends that children’s early years set the stage for how well they learn for the rest of their lives. Yet in Hawaiʻi, we have left that important task to others and only for families who can afford private preschool tuition. First and foremost, we must create a universal, statewide high-quality public preschool system that will give every child in Hawaiʻi a head-start on learning. Ultimately, we will need more than 300 public pre-K classrooms. Clearly, this is a long-term goal. But we don’t have to wait until we have funding for all of it. We can start to fill this significant gap in our education system by being smart about how we use existing space. But I don’t want to just add pre-kindergarten classes. I want us to do much more. That we reinvent our elementary education by making early learning an integral part of our children’s overall elementary curriculum. That’s what good beginnings are all about. That’s why I am proposing to the DOE that we restructure those schools presently composed of Kindergarten through grade 6 to pre-K through grade 5. Grade six in those schools would then become a part of our middle schools, where the added classes could be more easily and financially accommodated. Presently, about half of our elementary schools still include sixth-grade classes—most are located on the neighbor islands, where preschools, both private and public, are lacking. That provides us with a tremendous opportunity to kick start this effort, initially in communities where they are most needed. In addition, the phasing in of our public preschools will give us the time to ensure that we have well qualified preschool teachers to staff these classes. We also want to apply “best practices” learned from our own Public Pre-Kindergarten Program and from other states who have added preschools to their public education system. Of all the initiatives upon which we’ve embarked, I believe this one will make the greatest difference in preparing our children for the future and in creating a 21st century workforce. Moreover, this is an initiative we can and should begin now. My thanks to Lauren Moriguchi, Director of the Executive Office on Early Learning, and DOE Superintendent Christina Kishimoto for spearheading this initiative. A recently released strategic plan details the state’s vision for early learning in Hawaiʻi. 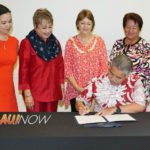 And so — in 2033 — when Alekah Garcia is a freshman in high school, she’ll be well prepared to take advantage of the state’s Early College and Hawaiʻi Promise programs if she so chooses—a choice made possible because of the partnerships we’ve established with the DOE, UH and its community colleges. That’s why we need to expand our pool of teachers in some of our most difficult-to-staff schools. And we’re doing so in partnership with UH, HSTA and the DOE, and with the help of education advocates like State Senator Michele Kidani and State Representative Justin Woodson. On an island where land is scarce and the cost of living high, providing affordable homes for our families has been one of the most challenging aspects of caring and looking out for each other. Widespread homelessness across the state is a symptom of how steep that challenge is. I don’t have to tell you it is a complicated one. And one that will take a “village” to solve. But more than any other place in this country, Hawaiʻi intimately understands the village concept, because it is embedded in our values of ʻohana and aloha. With the help of the Legislature, our congressional delegation, the counties, federal agencies, business and community service organizations, we have made significant strides in addressing homelessness in Hawaiʻi. groups, such as families, children and veterans. We have also seen an increase in people exiting homeless programs to permanent housing. Two years ago, only a third of those exiting homeless services went to permanent housing. That number has now increased to over 50%. In addition, this year’s budget includes $35 million for homeless programs. More importantly, we have addressed this challenge as a community and not left it to government alone. For example, the Queen’s Medical Center has seen what the impact of homeless patients has had on its overall mission. Without appropriate housing, recovery was a hit and miss affair and many became repeat patients with prolonged stays. Hospital officials knew that if they didn’t treat the whole patient that the process would become frustratingly repetitive for both patient and doctor. That’s why they became the first hospital in the nation to place its most medically fragile, homeless patients into housing as part of the recovery process. In the last year and a half, the Queen’s Care Coalition team has worked with 112 individuals, placing 75% of them into stable housing. The hospital estimates the program has generated savings of more than $5 million and, at the same time, lightened the burden on its emergency rooms and ambulances. More importantly, it has changed the lives of those they have treated. With us this morning is Dr. Daniel Cheng, who heads the Queen’s Care Coalition, members of his Coalition team, and the president and CEO of Queen’s Health Systems, Art Ushijima. I would like them to stand and be recognized for their outstanding work. Thank you for reminding us that we can all take on a role in helping others. I should also note that Lieutenant Governor Josh Green will be the state’s new point person on leveraging private sector partnerships to address the chronically homeless, which includes some of the most difficult situations to resolve. He will be working closely with Scott Morishige, the state’s homeless coordinator, who will continue to lead the state’s overall homeless efforts. I strongly believe that our response to homelessness must address both immediate concerns and its underlying cause: the lack of adequate affordable housing. That’s why this year’s budget includes $315 million for housing over the next two years. In the past four years, we’ve produced a total of 6,600 units with over 7,100 in the pipeline, 90% of which will be rentals. We have also struggled with the reality that the lack of affordable housing affects more than just families at risk. It impacts all of us. For many in Hawaiʻi homeownership has always seemed like a far-fetched dream. The high cost of land will always be a significant barrier to making more homes affordable. And on an island with little capacity to expand, demand will always outpace our limited supply. It seems like a no-win situation. Perhaps until now. How do you make homes in Hawaiʻi affordable? I believe you do it by thinking outside the box—by looking at what you DO have and not focusing on what you DON’T have. We need to use public resources and public authority to break the cycle of speculation and profit-taking that has turned affordable housing into an unreachable goal for our people. That’s why we will be submitting legislation to build condominiums for sale on state lands utilizing 99-year leases. These will include parcels along the transit route as well as on other underutilized state lands. This legislation will be critical to unlocking the potential for thousands of new affordable housing units to be built on state lands on all islands. The state will retain ownership of the land under these condos and determine the terms of resale if the owners decide to sell at a later date. In this way, we will be able to keep the units affordable, plan growth, create jobs, and make the most of unused state lands. We can turn a no-win situation into a win-win. My thanks to State Senator Stanley Chang, whose input went a long way in helping us shape this initiative. We have long talked about transit-oriented development, as one of the benefits of rail: as a way to build communities and provide housing for our families. But it’s not just about rail. On Maui, we have a great example of how the state and county are working together to build a new transit hub at the Kahului Civic Center. Together, we are transforming underutilized state land into a vibrant new mixed-use project with plans for a major bus hub, multi-family affordable rental housing, senior housing, and office space. It’s a good example of the collaboration happening between state and county. In addition to controlling and directing growth, planned development allows us to accommodate other priorities as well. Our future requires that over time – we, as a state, acquire and preserve more and more land – either as state land or in the hands of partners like the Trust for Public Lands and the Nature Conservancy. If we want green spaces… if we want to grow our own food… if we want places for recreation… if we want clean, fresh water… if we want the environment that has been so central to Hawai‘i’s life… we need to have special lands in public hands. Take, for example, the new state Helemano Wilderness Recreational Area. 2,900 acres of former plantation and conservation land now dedicated to protecting our watershed and wildlife habitat and providing outdoor recreational opportunities for all. In October 2018, the Trust for Public Land and the state completed the purchase of four parcels of land from Dole Food Company, using a creative combination of private, federal and state funding. In an earlier time, those lands might have been sacrificed to uncontrolled development. To a certain extent, this project was made possible because we have a plan for future development on Oʻahu, with growth directed to our urban core and along our fixed transit system. That lessens the pressure for development on other areas, including important agricultural and preservation lands. It also allows us to initiate discussions with other private landowners, who have expressed an interest in developing lands in places like Kaneʻohe and Maunawili. We would prefer to negotiate acquisition agreements with them so that we can realize similar benefits to our natural resources and recreational venues. 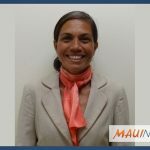 For those unfamiliar with the neighborhoods, Kaneʻohe and Maunawili both include areas that the landowners have proposed for housing development. But they also contain the mauka source of freshwater streams that feed ancient lo-i and flow into vital coastal waters of Kaneʻohe Bay and Kawainui Marsh. They contain some of the richest agricultural lands on Oʻahu and have been farmed by ancient Hawaiians for centuries. They are irreplaceable natural resources and part of the economic, ecological and cultural heritage of Koʻolaupoko. These places are worth saving for us and for future generations. That’s why we are requesting increased funding for land conservation, by removing the $6.8-million cap on the 10% conveyance tax to the Legacy Land Conservation Program. And I’ve also instructed DLNR to prioritize a strategic plan to help us better identity and coordinate the acquisition of such parcels of land going forward. Achieve 100% renewable energy by 2045. Our budget includes $3.9 million over two years for Sustainable Hawaiʻi initiatives, to support our biosecurity plan, watershed protection and our Agricultural Loan Revolving Fund. And speaking of sustainability, I would be remiss if I didn’t mention that last November, Hawaiʻi was designated one of the United Nation’s first Local 2030 sustainability hubs— the first and only such forum in the Pacific. I would like to thank Hawaiʻi Green Growth and The Kamehameha Schools for their work in achieving this designation. They are highlighting our achievements and helping to establish Hawaiʻi as a leader in sustainability in the Pacific. In addition, private companies are investing in Hawaiʻi to help us meet our sustainability goals. For example, Ampaire has a memorandum of understanding with Mokulele Airlines to deploy an electric airplane on Maui. CarbonCure is working with the Hawaiʻi DOT, HC&D, and Hawaiʻi Gas to develop carbon infused concrete to lower the carbon dioxide emitted during the construction process. Our public utilities have also made great progress in transitioning to a renewable energy future. Earlier this month, Kauaʻi Island Utilities Co-op announced it has reached 50% renewable generation and believes it can reach 70% renewable energy a full 10 years ahead of schedule. In the last 10 years, Hawaiian Electric Companies have reduced fossil fuel use to generate electricity by 26%—that’s 48 million fewer gallons of imported oil a year. The companies have also pioneered technology to integrate more renewable energy into the electrical grid, and delegations from around the world are coming to Hawaiʻi to learn from our experience. In agriculture, we are entering a new age of innovation, one that will bring new jobs and opportunities and decrease our reliance on imported foods. The future of agriculture relies on producing crops more efficiently and with less impact on the environment. Farmers are constructing cutting-edge greenhouses, using automated production systems, and analyzing data to increase crop yields. These modern practices will require new skills and a workforce grounded in science- and math-related education. Companies like Costco want to build high-tech greenhouses and use these new agricultural techniques in Hawaiʻi to complement the food production of local farmers and replace fruits and vegetables from out of state. Just as the nurturing of our natural environment is critical to the future of these islands, so, too, is the nurturing of those who, together, make up our human resource, including those who are incarcerated. There are some who hold fast to the old notion of crime and punishment and scoff at the concept of second chances. But correctional facilities today need to be more than just secure holding cells. They need to be places where an individual can take stock of his or her life and seek a second chance at become a contributing member of society. If we don’t, then our jails will become just a place for repeat offenders, at a terrible cost to them and to all of us. We are seeking to continue the process of replacing the outdated correctional center in Kalihi. The relocation gives us a chance to provide enhanced services and program opportunities that would aid in rehabilitation. I agree with Representative Gregg Takayama and Senator Clarence Nishihara who head the committees on Public Safety. It’s a chance to rethink how we design and build correctional facilities. If we are legally obligated to carry out judgments of the courts whenever confinement is ordered, then let’s do it in a way that doesn’t make matters worse for those incarcerated. If we disagree on the location, how big it should be, or the programming offered—fair enough. Let’s work together. Let’s take this initiative and move it forward, with thoughtful planning and with purpose. And let me add one more thought on the matter. For several generations now, the community of Kalihi has, with little protest, hosted OCCC in its own back yard. While it is not the primary reason to relocate Oʻahu’s outdated jail, the chance to revitalize the community of Kalihi by using that vacated space to create new economic and social opportunities is another good reason to relocate OCCC. Concern for others—whether they are homeless, incarcerated, disadvantaged, our children, or the community at large—that is the hallmark of who we are. Concern for others also underlies the reason why we work so hard to provide economic opportunities for all to realize their dreams, whatever they may be. But to translate those concerns into meaningful action takes resources. That’s why we must also be cognizant of the needs of the counties. To help them do their jobs better, we will be asking the Legislature to remove the current $103-million cap on the TAT and return the tax to how it originally functioned: allocating to the counties a straight percentage of TAT funds collected. In other words, the counties’ share would rise and fall based on the amount of money collected—without any cap on the high side. There is a fairness to that formula that speaks volumes not only about our concern for others, but about our willingness to work with the counties as equal partners in moving the state forward. It’s a change in the whole notion of revenue sharing whose time has come. Let me add that the bill we’re submitting would also increase from three to ten million dollars, monies earmarked to maintain our state parks, trails, beaches and waters to the benefit of both residents and visitors. In 2018, mother nature threw a lot our way: historic volcanic eruptions, hurricanes and floods. And yet, I find that we, as a people, are amazingly resilient and resourceful. We should all applaud those on Hawai‘i Island who faced devastating volcanic eruptions and others on Kauaʻi and Oʻahu who were buffeted by damaging hurricanes and floods and who refused to be defeated by those events. We will work with the Legislature to continue our support of those families affected, as they put their lives back on track. The major initiatives that I’ve highlighted this morning—on public preschool education, affordable leasehold condominiums and the TAT adjustment–are built upon these and other frameworks. But to realize our goals, it will take more than just this administration, more than government, more than the private sector, or community service and nonprofit organizations. In my inaugural address, I talked about the need to work together. Little did I expect that our leaders in Washington would underscore my point by shutting down the federal government. That, my friends, is what gridlock looks like. Tragically, it has been devastating for the many federal workers caught in the middle, and increasingly for the general public. I began my remarks this morning with the notion that the future is personal. Leadership is also personal. And it has a name and it is Us. We have a duty and responsibility to do our jobs and do them in partnership with each other. That is the least those folks up there in the gallery—the people we all work for—expect. But I know we can do so much more—if we work together. And it begins with me. And it begins with you. That’s why we have been meeting with the Senate and the House — to see if we can establish a common ground from which both houses can better shape a budget that best serves all the people of Hawaiʻi. After four years in this office, I know what I am asking is not an easy task. It never has been. But it becomes easier, if we remember that little girl who was born in Kona in the very early morning hours of January 1. She’s the reasons we do what we do. 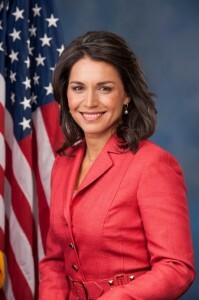 She is the real source of our strength, our determination and our commitment to Hawaiʻi. Love for the ʻāina and this place we call home. We are here to protect and nurture her. In turn, she enriches our lives. We have much to teach her and she has much to teach us. Empathy for those who find themselves without a country and face a wall that is far more daunting than any physical one we could ever build. Empathy and compassion are no strangers to those raised in these islands or to those who embrace our shared values. We do not often speak of them by those names, but rather by the one word we hold above all others: aloha. Alekah Obra Garcia is our future and we welcome her with loving open arms. We have a job to do to prepare these islands for her, so let’s get started—shall we?